What’s so important about fostering curiosity anyway? I spent two decades helping companies like Bell Labs, Juniper Networks, and a genetic testing company that was later acquired by CVS translate some of the world’s most complicated concepts into actionable, understandable English. Now I'm working on a different problem -- helping parents raise the next generation of critical thinkers. 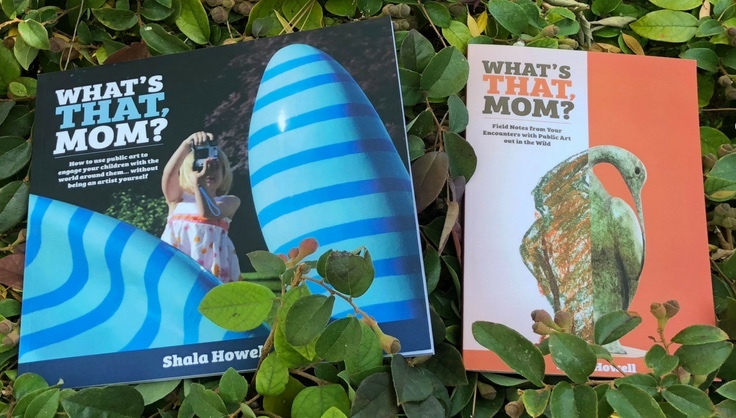 The first book in my Caterpickles Parenting Series, What’s That, Mom?, focuses on how to use public art to nurture children’s curiosity in the world around them. My next book will focus on science, and how parents without a science degree can answer their curious child's questions without enrolling in a college level refresher course. “Simple but effective tips for busy parents.” – Kirkus Reviews. Get your Caterpickles RSS feed here! This work by Shala Howell is licensed under a Creative Commons Attribution-NonCommercial-NoDerivs 3.0 Unported License.